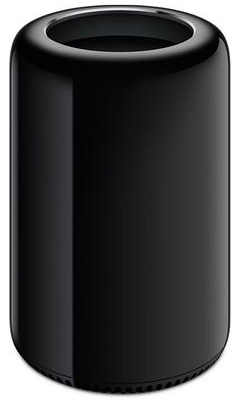 Apple today launched a new Repair Extension Program that addresses video issues on some late 2013 Mac Pro models, according to an internal notice obtained by MacRumors. Customers can book an appointment with the Genius Bar at an Apple Store or visit an Apple Authorized Service Provider to determine if their Mac Pro is eligible for coverage. Unlike Apple's voluntary recall of some international AC wall adapters last week, Apple is unlikely to publicly announce this repair program on its support website, but it may contact some customers directly. A lengthy Apple Support Communities topic was posted about Mac Pro video issues in February 2015, and it has since amassed nearly 3,500 views and 50 replies from affected users. One customer claimed Apple agreed to replace his Mac Pro's graphics card after he contacted the company's support team about the issue. Apple also launched a repair program for 2011-2013 MacBook Pros with video issues in February 2015. Just realized. Someone that drops $3k+ on a brand new Mac in 2016 can take it home, unbox it, boot it up and when they go to "About This Mac" it'll say LATE 2013. How embarrassing for Apple that a company with over $200 billion in the bank cannot update the Mac Pro in 3 years and doesn't sell a competitive 4k or 5k stand-alone display. Does Apple seriously expect people to buy 3-4 year old technology, WTF Apple? The problem stands in the circular form factor. Well it's Apple's fault for making a 'pro machine' that was infinitely more upgradable and at the same time cools it's GPU's 1000x better into a damn trash can that's slowly cooking the dGPU's just like iMacs and MBP's! Disappointing that such pricey professional products seem to be subject to the same defective component odds, or perhaps design flaws, as lower priced equipment. Somehow I expected better. It's all down to being RohS compliant. These gpu problems started to come up after they stopped using lead in the solder. With the RohS compliant tin solders, they just start to disintegrate after a series of hot/cold cycles and the solder cracks, leading to these problems. It'd frankly be a lot more environmentally friendly if they went back to using lead/tin blends instead of replacing the chip 5 times. What's so good about this, Jimmy? What I'm reading above is - MacPros that shipped from Feb15 have known faults. Discussion forums since Feb15 have noted this fault. Now, in FEB 2016 - a year later - Apple pulls its finger out and creates a Repair Program??? That is NOT good. That is poor! Yay for anyone who may have an affected MacPro and NOT suffered symptoms to date, who can get a free repair... Boo for all the poor people out there with this machine, who have had an incredibly expensive paperweight sitting on their desk for 12 months! It seems quite clear IMO why Apple is trying to get rid of dGPUs as fast as possible. It seems like every other iteration of Mac has dGPU issues. Apple must be sick of them. The route they took with the 4K iMacs makes me thing the next major MBP redesign won't have dGPUs at all. Apple's recall policies are greedy and anti-customer. For the vast majority of product in the field, thanks to iCloud, Apple know the email address of every potentially affected device's user. Yet instead of contacting owners directly, Apple has non-publicized secret warranties and PR releases, or a hyperlink on the bottom of the homepage, if it's a safety issue. Such behavior can only be explained by the desire to minimize the cost of fixing non conforming product (I.e. Quality defects) at the expense of customer safety, satisfaction and goodwill. As an example of the stupidity of this approach, one could make a few assumptions, do the math, and find that for the AC Adaptor recall, if Apple contacted every affected customer, mailed a replacement and paid for return of the defective part (this could be aided by giving a 10$ iTunes credit to be used within 1 month), Apple's cost would be around a couple percent of last month's quarterly profit. For those of us that love Apple and hold it to the standards it claims to have set for itself, it is necessary to call the company out for not only not "doing the right thing", but being hypocritical in its approach to quality and safety remediation. Tim (and last month, the company) like to reference Dr King's persistent question quote to promote the social side of the business. That's all fine and good, but my persistent question on the business side of the company is "is Apple doing enough to protect customers, their satisfaction, and the brand's reputation?" And here, the answer is clearly no, Apple fails to clear the bar of rhetoric and expectation they themselves have set.